A BBC presenter has revealed how her strong Northern accent once led to her being derided as "too common for telly" by one of the corporation's senior managers. 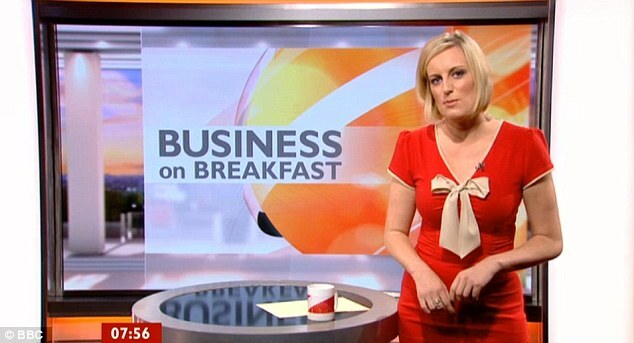 Stephanie McGovern, who presents the business news on BBC Breakfast, has also spoken out about the abuse she receives from viewers because of her Teesside tones. Writing in this week's Radio Times, the Middlesbrough-born presenter said: "Despite being a business journalist at the BBC for ten years, working behind the scenes on our high-profile news programmes, I was viewed by some in the organisation to be 'too common for telly'. “I remember at the end of one BBC job interview being told by the manager: ‘I didn’t realise people like you were clever’. Sad, but true." McGovern, 31, added that she was still shocked by the level of vitriol her accent inspired in some viewers. “The first question I get will be, 'What are Bill (Turnbull) and Susanna (Reid) like in real life?' – I’m happy to report they’re lovely – and then it’s, 'Where’s your accent from? ', which I like to chat about. But, unfortunately, there are quite a few people out there who are nasty about the way I talk," she said. “You would think that after nearly two years in the job, people would be used to my Teesside tones. To be fair most are, but there are still some viewers who can’t accept that someone with my accent can have a brain. It means that I regularly get abuse about it. "I’ve had tweets questioning whether I really did go to university because surely I would have lost my accent if I did; a letter suggesting, very politely, that I get correction therapy; and an email saying I should get back to my council estate and leave the serious work to the clever folk." She added: “The other misconception that comes through in my 'fan mail' is that people with regional accents can’t use the English language correctly. I, like many annoying pedants, will wince when someone says 'less' when they should have said 'fewer'. But my 'poor' sounds like poo-ah, not pore; and my 'grass' rhymes with mass, not farce. What’s wrong with that? “It’s inevitable that not everyone will like me, and that some will find me annoying. That’s fine. All presenters deal with that. What’s scary is the ignorance about what having a regional accent means, or indeed doesn’t mean. It certainly doesn’t equal ignorance." McGovern also paid tribute to her former editor Alison Ford, who died earlier this month from cancer. “She was the woman who took a gamble on me when other managers thought she was mad," she said.